“I’ve suffered with headache and migraine for 20 years, well over half my life. During this time I have been in and out of the hospital and had many serious and invasive tests done to determine what is causing my migraines. I had also become far too familiar with the steady flow of ineffective prescription drugs that impacted my ability to operate normally. I had become so desperate to find something natural and drug free to help me I started going to work in a tuque filled with ice. This is where it all began. I learned about IceKap last year and couldn’t wait to try it, since I had been using gel packs with Velcro during attacks, which only cover part of my head and always slip off. I can even go back to work at my desk wearing this if needed. I love how comforting IceKap feels when I put it on and that the gel packs stay cold for 2 hours. You can order IceKap in several sizes, and they are still selling the less-expensive original design. 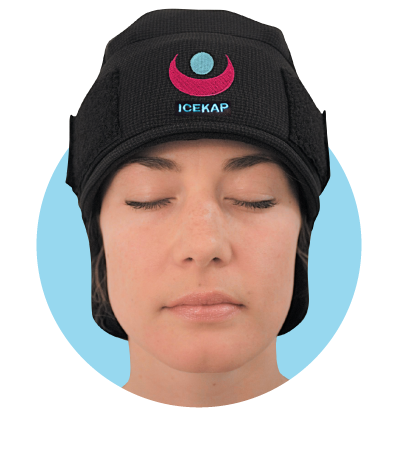 If you don’t have head pain as part of your migraine pattern, IceKap may not help with your attacks. Required FTC disclosure: The giveaway item was provided by IceKap. I was not paid to write this post.